I have already been married 8 and half years and I just cannot believe that! It seems like just yesterday we got married on a VERY rainy day in March and here we are 2 kids, and living in 5 different states later! When I think back on my history of dinner meals for our marriage it is quite funny. They started out as gourmet as I could make them. When we were newlyweds we moved out to New Jersey where my husband worked long days for the summer and I was stuck at home all day. I watched Rachael Ray every day and would basically make whatever she made that day. I wanted to show my husband what a great wife he had so for example, instead of having a hot dog for lunch—no…that simply wasn’t gourmet enough. We had to have grown-up polish dogs in a blanket with butterflied, grilled kilbasa, topped with sautéed onions and spicy brown mustard, all wrapped in pizza dough. I still remember that meal to this day. I have no idea why I went to such trouble since my husband certainly did NOT expect that of me at all, but he certainly appreciated my efforts. He grew up with a mom who didn’t cook much and left them to fend for themselves for dinner a lot so he ate a lot of sandwiches growing up. Hence, his perfect grilled cheese he makes for me on special occasions :) Anyway, he would and does always tell me that he would much rather me make a sandwich and hang out with him at night rather than me slave away in the kitchen and I really do appreciate that about him. There was a period in the middle there where we both worked late hours at the post office together and would get home between midnight and 2:00 am, depending on the night and we would be STARVING but exhausted when we got home so I got good at making quick, simple but filling meals (to which I am grateful for today). A staple of ours was chili and corn bread. 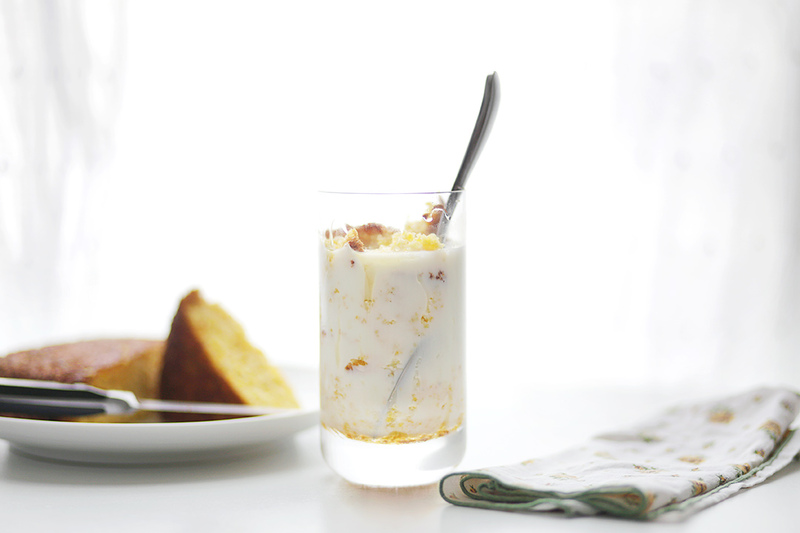 I grew up on cornbread and chili (or some sort of soup similar to chili) and we would always have leftover corn bread and milk for breakfast the next day. Anyone else grow up on that? My husband is disgusted by the thought of that but my mom was from the south and I think that’s a pretty common southern dish. Anyway, to this day this is a really yummy easy meal that I can quickly make on a busy weeknight that I know will fill everyone’s bellies and make them happy. 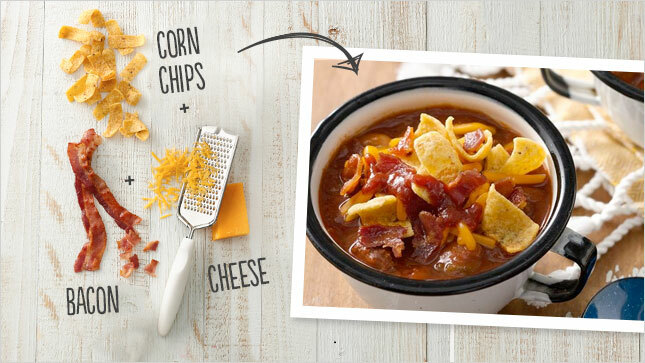 I really liked this simple recipe to used canned chili but add cheese, crumbled bacon bits and Fritos to make it extra special. You can even add some barbeque sauce to give it some extra zip and taste homemade like it’s been simmering for hours. Heat chili as directed on pouch; divide between 2 bowls. Sprinkle each bowl with half of the remaining ingredients.